Receive specials straight to your email inbox. For beginning to advanced students with primary focus on the enjoyment of the game. We will cover all fundamentals of the game including skills, rules, etiquette and scoring. Games and contests will also be conducted. Camp includes Gatorade/water and a camp gift! Camp days are Monday through Friday; offering multiple sessions throughout the summer months, in the event you cannot attend one, we can still accommodate your busy vacation schedule! For the older juniors, we have a more intensive camp, offering 3 hours each day of golf instruction; including fundamentals, full swing technique, on course lessons and playing situations included! In addition, each student will receive a high-speed video analysis of their swing. Junior golfers will be divided by age and ability; beginners are also welcome! Camp includes Gatorade, water and camp gift! Camp days are Monday through Friday; offering multiple sessions and times throughout the summer months, in the event you cannot attend one, we can still accommodate your busy vacation schedule! $5 Drafts, House Wine, Call Drinks & Appetizers! Omelet Station: Create your own! The Ball and Thistle Pub! Three Angus beef burgers grilled served on mini toasted brioche bun, topped with bacon, caramelized onions, cheddar cheese & chipotle sauce. Grilled 12 oz veal chop topped with mushroom and demi-glace. Served with red skinned mashed potatoes & vegetable du jour. Barramundi fillet topped with sautéed baby spinach, tomatoes, parmesan cheese and herb buttered bread crumbs, broiled & served with rice pilaf and vegetable du jour. The Superintendent's Revenge was a blast! 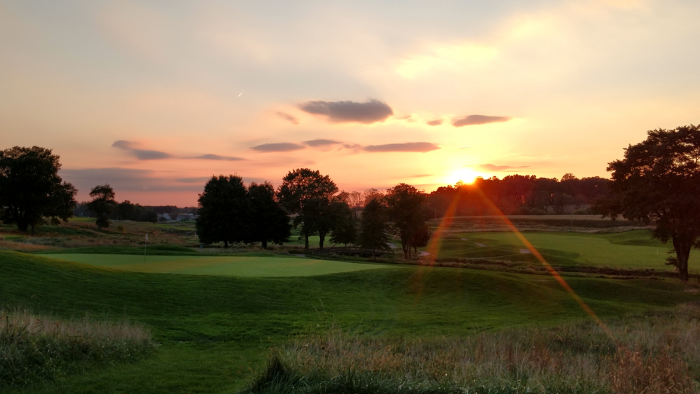 The wind blew in true Wyncote fashion, and Mark McGreevy & Crew didn't make it any easier. Thanks to everyone who participated! 69 was the low score(Malovrh/Sheehan).